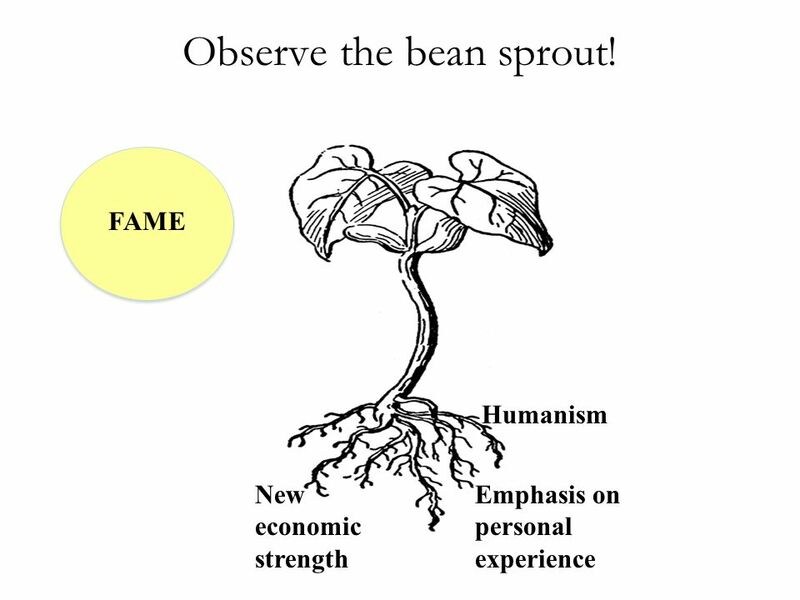 5 Observe the bean sprout! 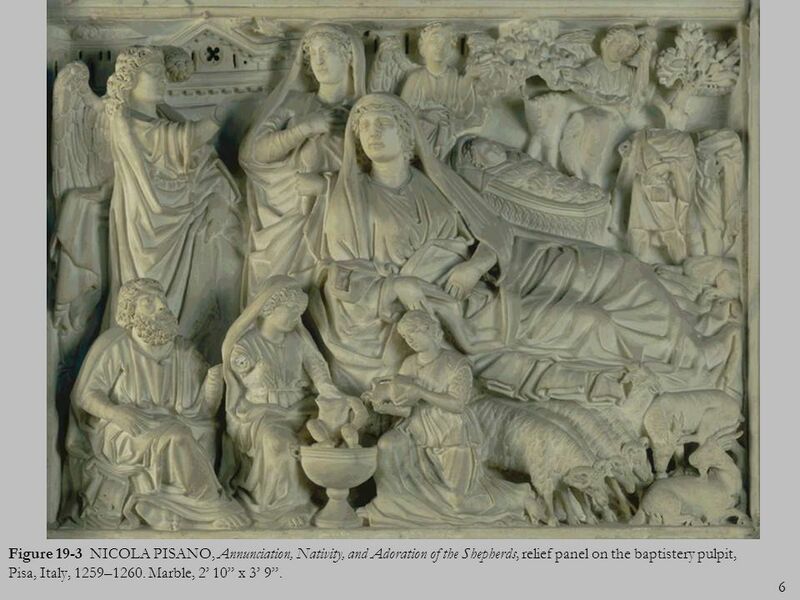 6 Figure NICOLA PISANO, Annunciation, Nativity, and Adoration of the Shepherds, relief panel on the baptistery pulpit, Pisa, Italy, 1259–1260. Marble, 2’ 10” x 3’ 9”. 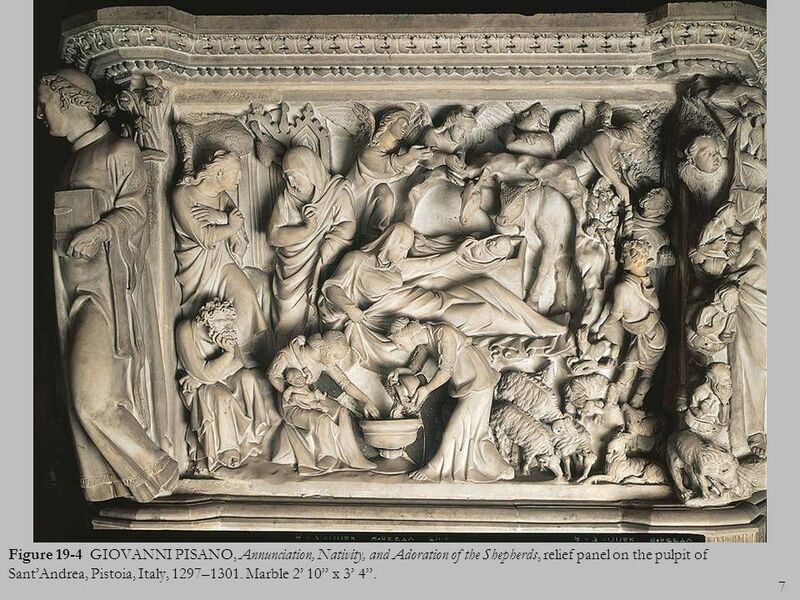 7 Figure GIOVANNI PISANO, Annunciation, Nativity, and Adoration of the Shepherds, relief panel on the pulpit of Sant’Andrea, Pistoia, Italy, 1297–1301. Marble 2’ 10” x 3’ 4”. 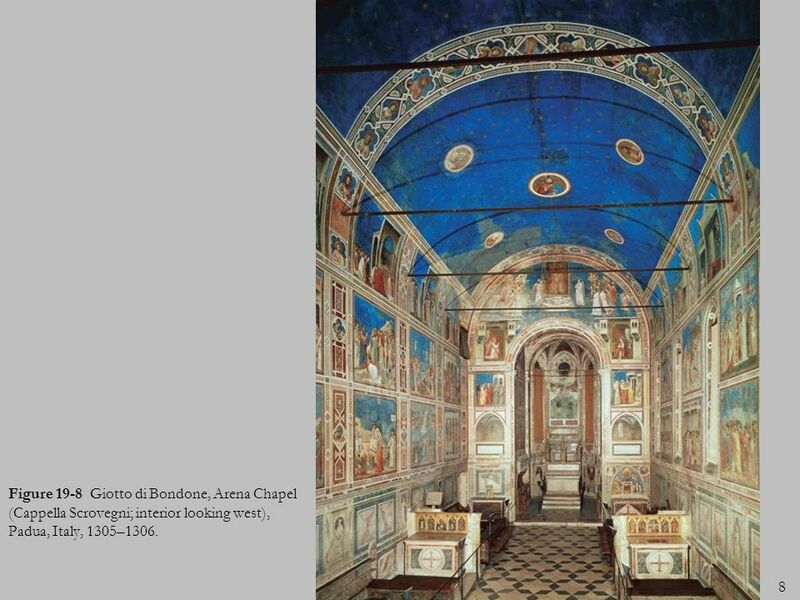 8 Figure Giotto di Bondone, Arena Chapel (Cappella Scrovegni; interior looking west), Padua, Italy, 1305–1306. 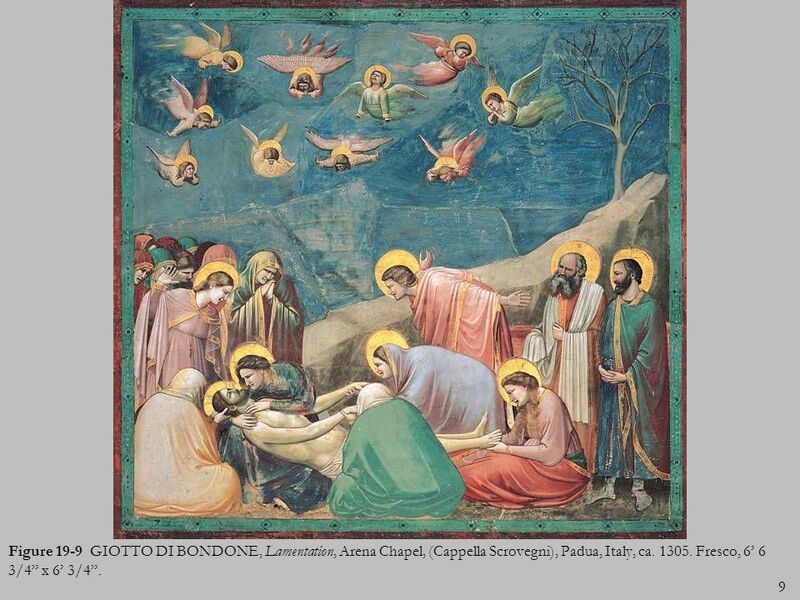 9 Figure GIOTTO DI BONDONE, Lamentation, Arena Chapel, (Cappella Scrovegni), Padua, Italy, ca Fresco, 6’ 6 3/4” x 6’ 3/4”. 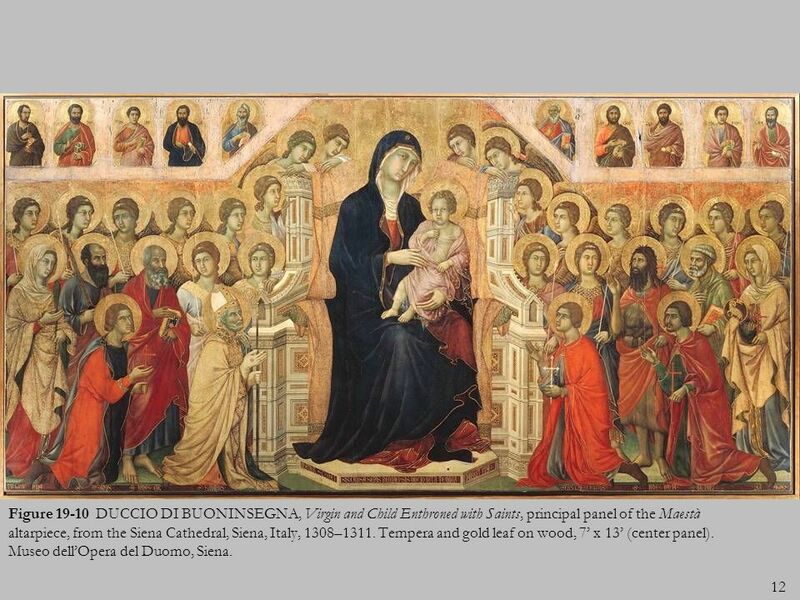 12 Figure DUCCIO DI BUONINSEGNA, Virgin and Child Enthroned with Saints, principal panel of the Maestà altarpiece, from the Siena Cathedral, Siena, Italy, 1308–1311. Tempera and gold leaf on wood, 7’ x 13’ (center panel). Museo dell’Opera del Duomo, Siena. 13 Figure DUCCIO DI BUONINSEGNA, Betrayal of Jesus, detail from the back of the Maestà altarpiece, from Siena Cathedral, Siena, Italy, 1309–1311. Tempera and gold leaf on wood, detail 1’ 10 1/2” x 3’ 4”. Museo dell’Opera del Duomo, Siena. 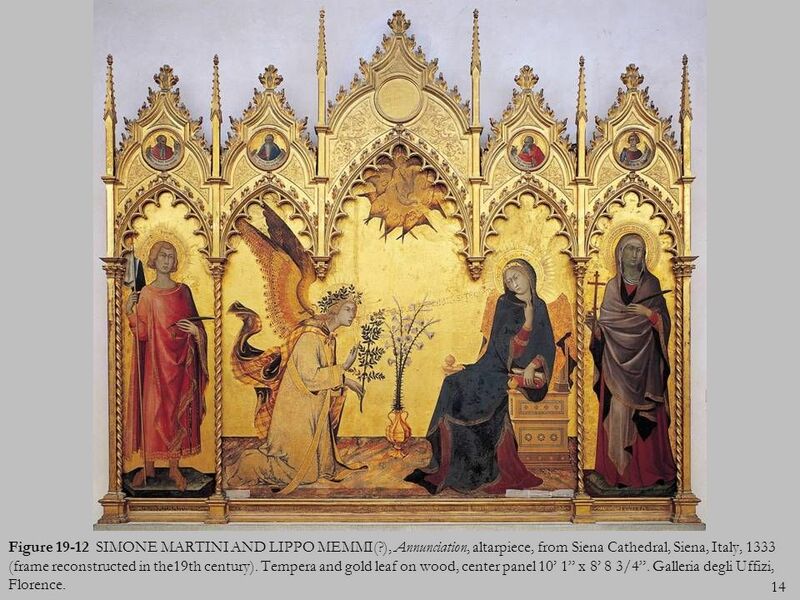 Figure SIMONE MARTINI AND LIPPO MEMMI(? ), Annunciation, altarpiece, from Siena Cathedral, Siena, Italy, 1333 (frame reconstructed in the19th century). Tempera and gold leaf on wood, center panel 10’ 1” x 8’ 8 3/4”. Galleria degli Uffizi, Florence. 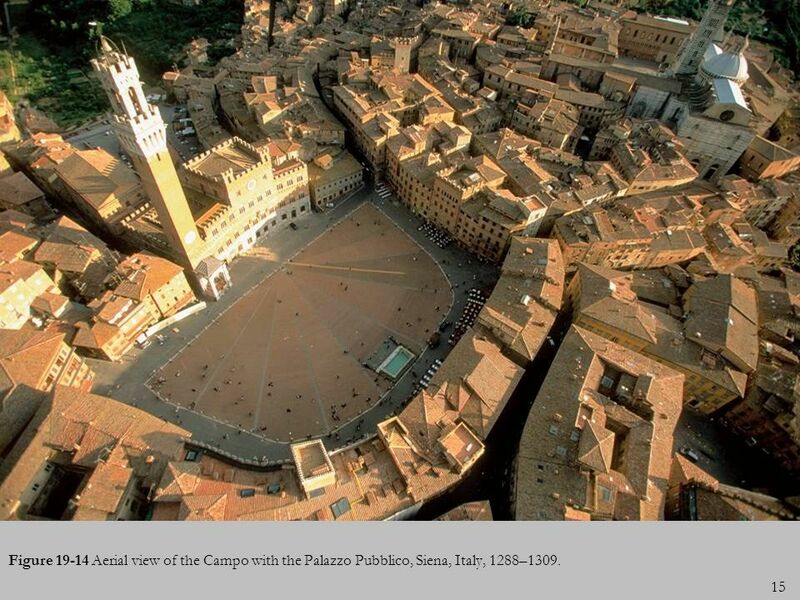 15 INSERT FIGURE 19-15 Figure Aerial view of the Campo with the Palazzo Pubblico, Siena, Italy, 1288–1309. 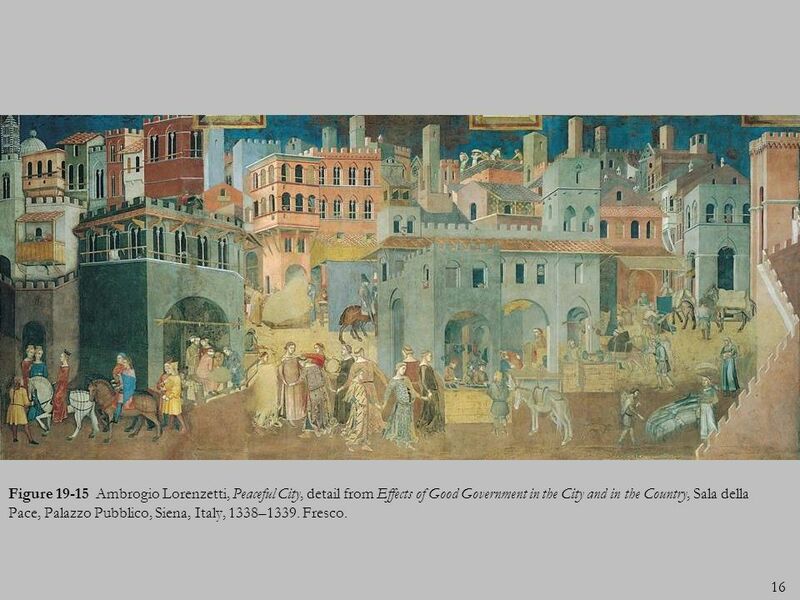 16 Figure Ambrogio Lorenzetti, Peaceful City, detail from Effects of Good Government in the City and in the Country, Sala della Pace, Palazzo Pubblico, Siena, Italy, 1338–1339. Fresco. 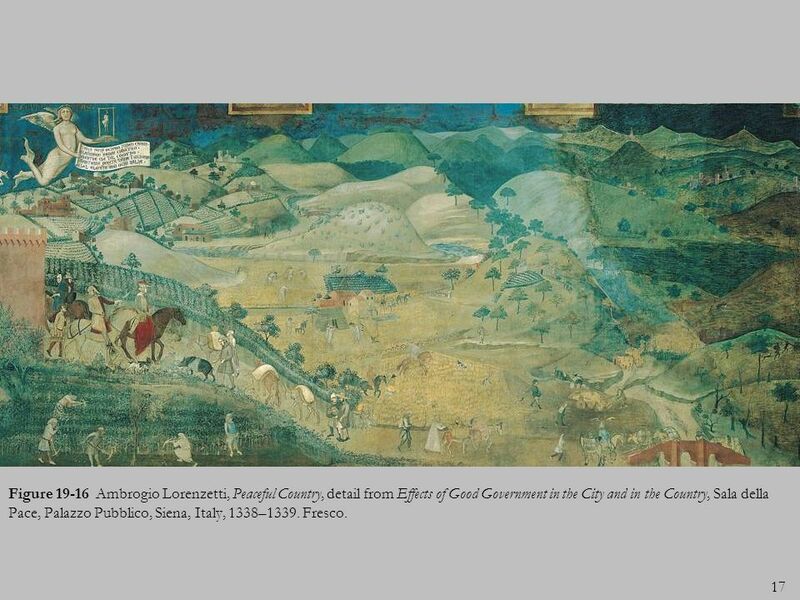 17 Figure Ambrogio Lorenzetti, Peaceful Country, detail from Effects of Good Government in the City and in the Country, Sala della Pace, Palazzo Pubblico, Siena, Italy, 1338–1339. Fresco. 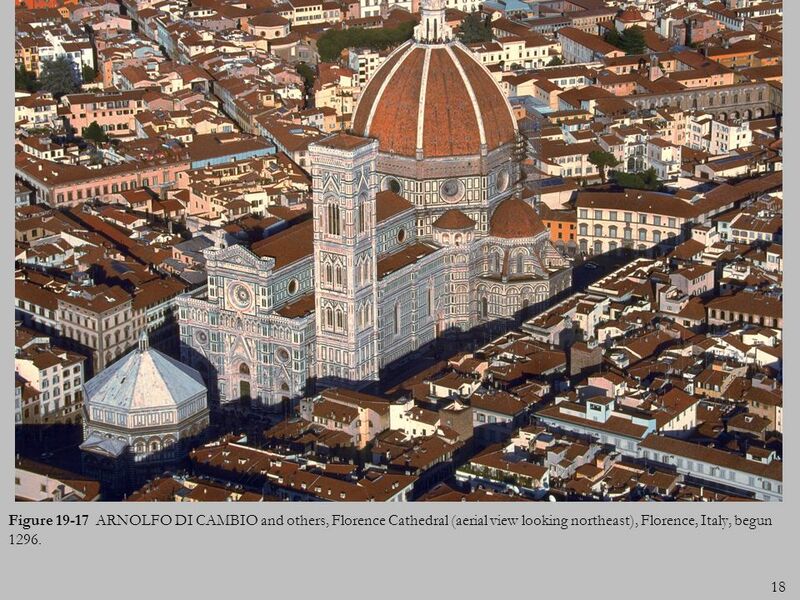 18 Figure ARNOLFO DI CAMBIO and others, Florence Cathedral (aerial view looking northeast), Florence, Italy, begun 1296. 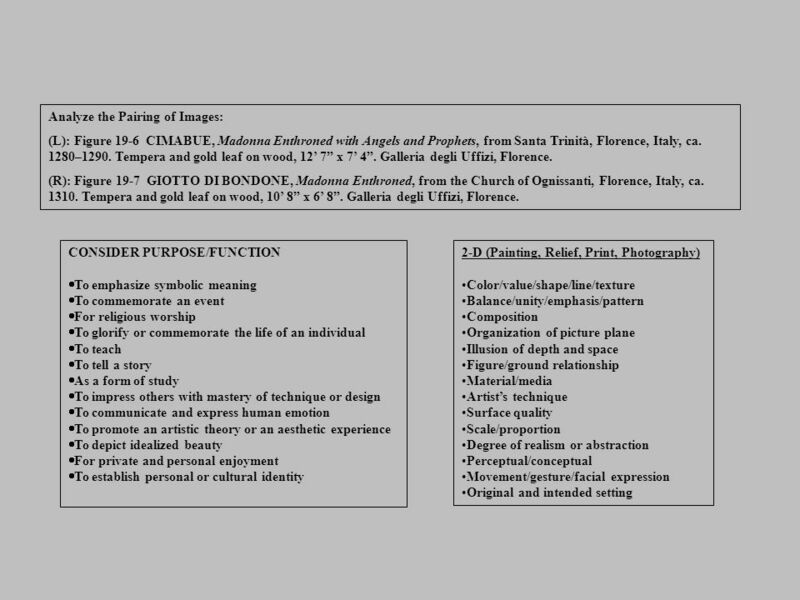 Download ppt "Chapter 19 Italy, 14th Century"
Photo Composition Study Guide Label each photo with the category that applies to that image. Early Renaissance Art Four Italian city states that were very successful commercially during the late Gothic period: Venice Florence Lucca Siena Slide. 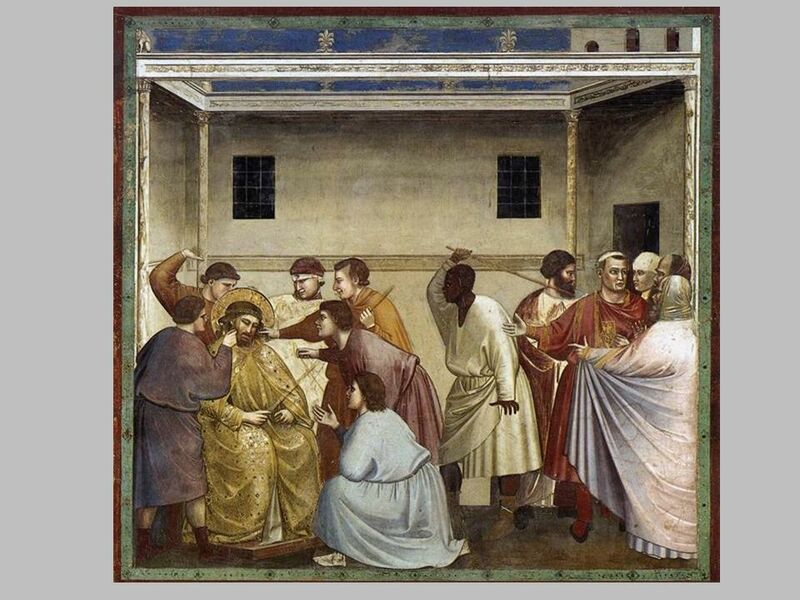 Images from the Italian Renaissance. 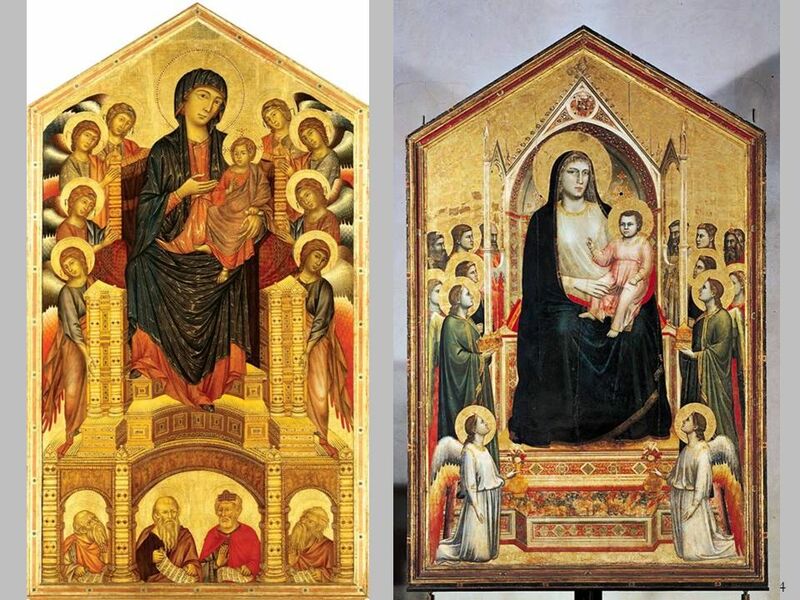 Italian Altarpieces and Polyptychs. Proto-Renaissance and International Gothic 13th and 15th Centuries Europe Instructor: Erica Ness. 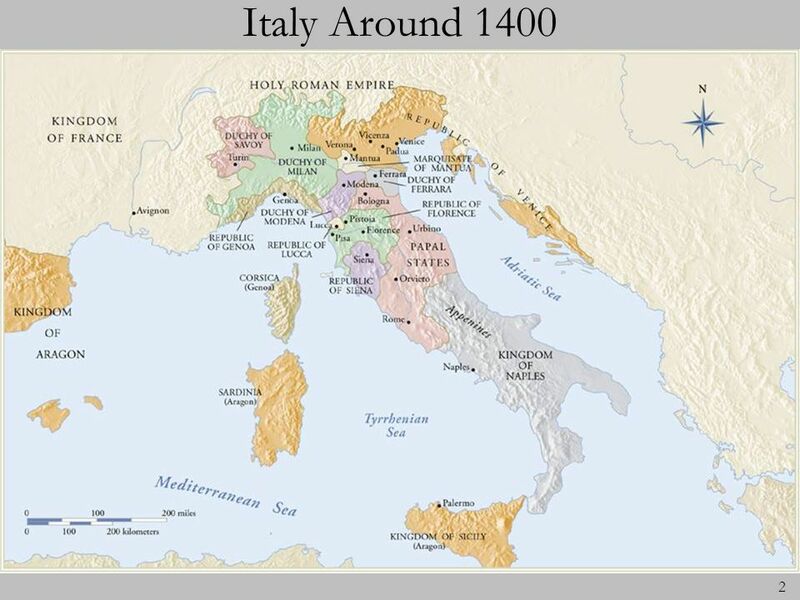 The Italian Renaissance HWH UNIT I CHAPTER 1.1. How does this painting define the Renaissance? 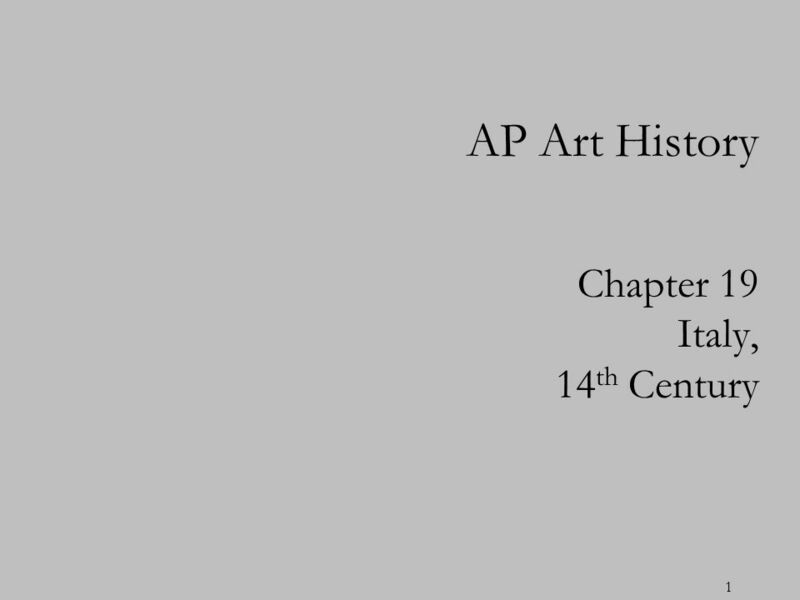 AP Art History Early Renaissance Chapter 17: Slides to Use as the Basis of Argument Why is this work significant? Sum it up in a sentence. Chapter 21 Italy Ch. 21 Italy Main themes and concepts Perspective-linear, atmospheric, horizon line, vanishing point, “di sotto. 1 Unit Nine Slides The Fourteenth Century. 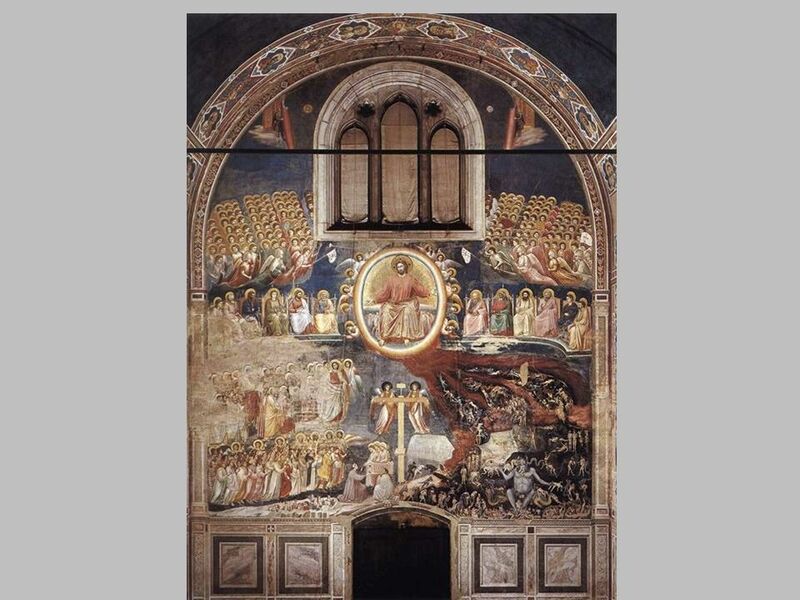 2 Sienese School School of Italian painting which fluorished between the 13th and 15th centuries and for a. 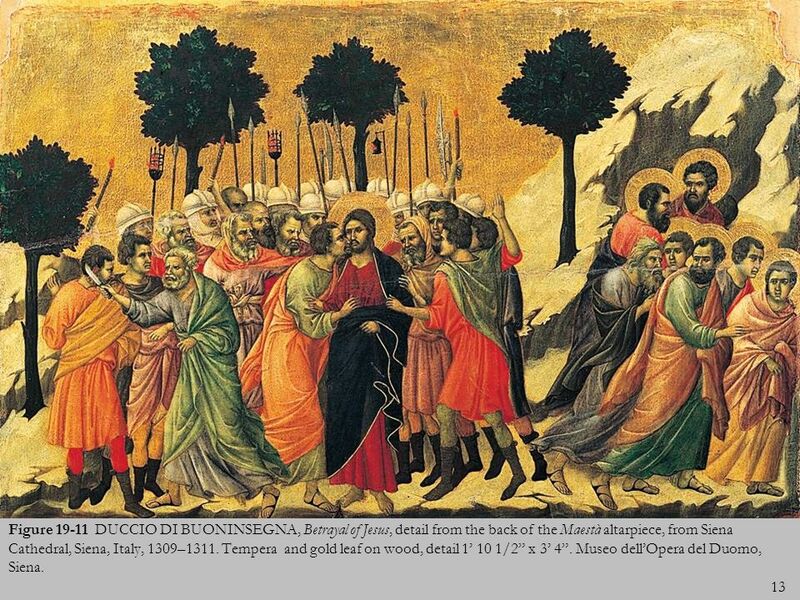 Late Medieval Art Art History Unit Test #2 - Part 4.